Phased work on "The Heritage Centre". cutting the ribbon, the Archivist Pam Reeks and the secretary Ann Page. 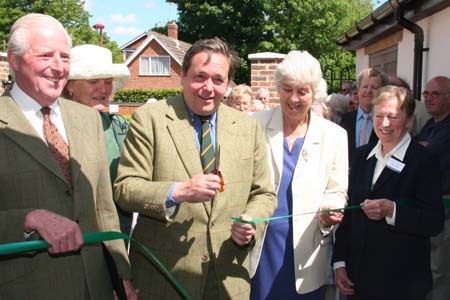 The Official Opening of Phase two of the Verwood Heathland Heritage Centre by the Marques of Salisbury, PC, DL occurred on June 13th 2005. 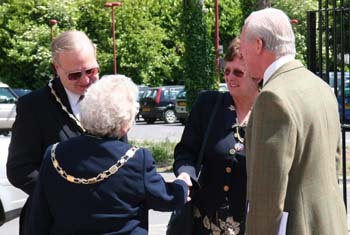 He said that “in days of globalisation Verwood is taking pride in the town's traditional activities; looking forward, while knowing details of Verwood's past.” He commented on how the centre is a good example of the best collaboration between local government and an independent charity. Mr Thorne (chairman) thanked all those who had helped so much to get phase 2 built and equipped. 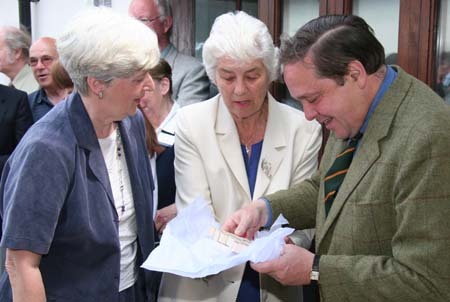 The Marques of Salisbury being presented with a gift by Cherry Thorne and Pam Reeks. 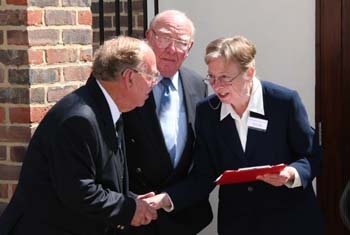 The Chairman and Secretary greeting visitors. The work was planned in two phases. Phase One to restore the old cob workshop and build an entrance hall, shop and cafeteria at the front is finished and open. 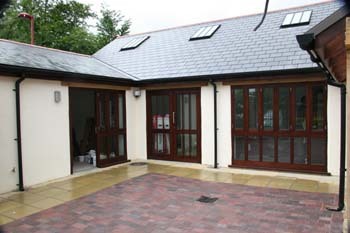 Phase Two is now complete and provides a purpose built studio and store erected at the rear. Full planning permission granted by EDDC for both Phases. 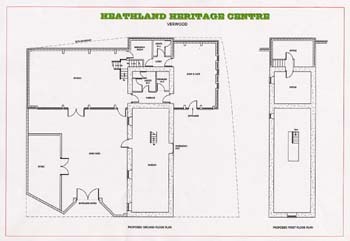 This is the original plan but not as it is now! 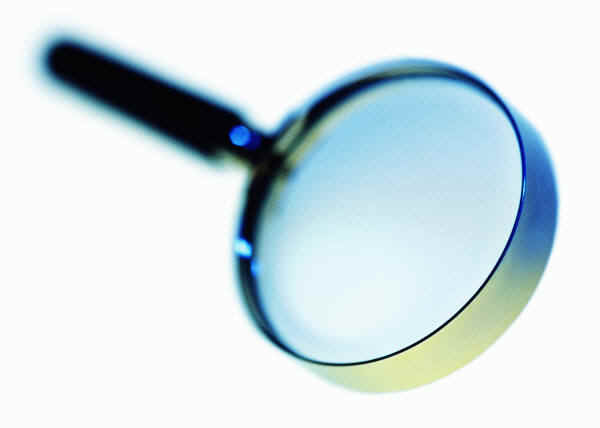 Select picture for a much more detailed High Definition view. 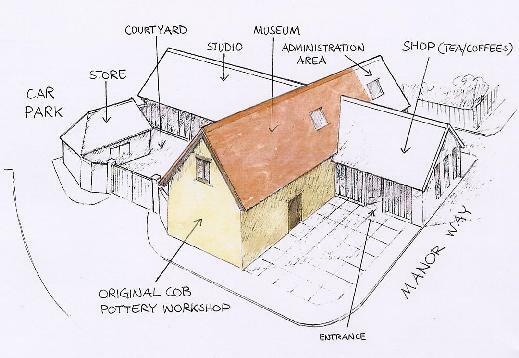 The motivating force for the project was to preserve the old Pottery Workshop which stood in danger of demolition. At present there is no other hall in Verwood where an exhibition can be on show for more than a day or at the most two. 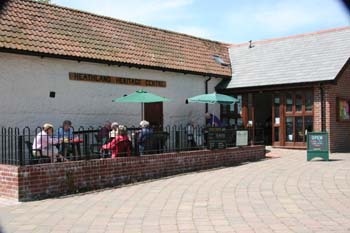 The restored workroom and in time the studio enables the Heritage Centre, Verwood Historical Society, artists and craftspeople and similar organisations to leave their work on display for longer periods for the greater convenience and enjoyment of the public. 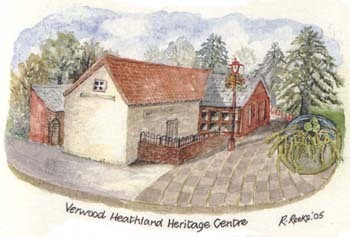 Verwood Heritage Centre Phase 2 Information. 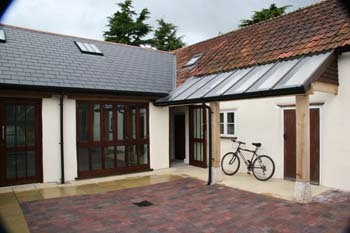 The studio at the rear provides a unique venue in Verwood for longer term exhibitions of arts, crafts and historical subjects. 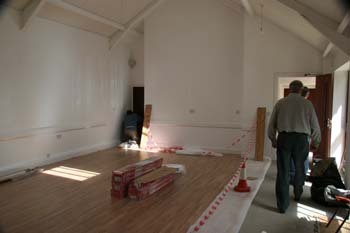 It can be used as a lecture room, for evening classes, school groups, demonstration area, exhibitions and special events etc. The new courtyard also allows for further exhibitions.